Deep relaxation is beneficial in many ways. People suffering from stress, high blood pressure, anger management and many other health and behavioral problems can benefit from learning to truly relax. 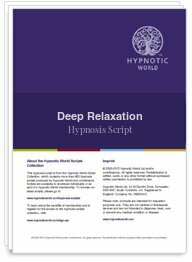 This powerful Deep Relaxation script download can help your clients to reach a state of deep relaxation and alter the level so that they can adjust it for their own needs.